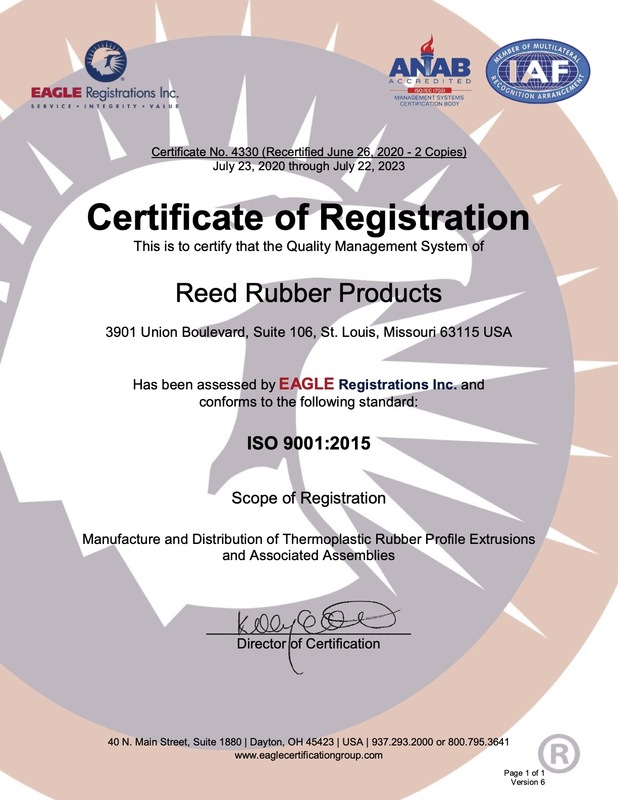 At Reed Rubber Products, Quality is integrated into every facet of our operation. Listed below are some of the procedures, processes, and certifications that distinguish us from other thermoplastic rubber extrusion companies. We have been ISO 9001 certified since 2002. Statistical methods are commonly used throughout our organization to ensure that processes are in control and are capable of meeting your requirements. Process capability reports accompany all first article samples, so you will know exactly what you're getting. 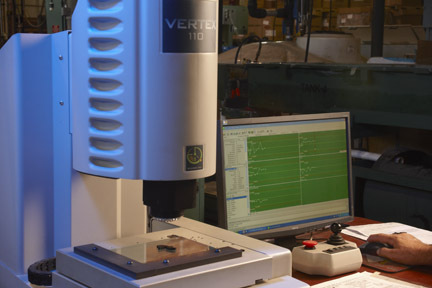 While many extrusion companies use plug gauges and dial calipers, we use the latest in quality control technology. Our visual measurement system performs non-contact measurements using up to 150x magnification. The metrology software recognizes and instantly measures key features of your part, such as diameter, angles, and wall thickness. These measurements are extremely precise (repeatability = .000005"), and can examine parts free of human error. 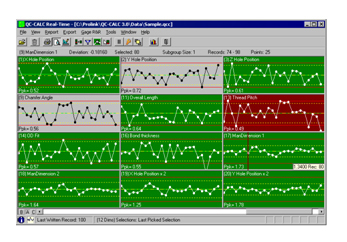 The software also alerts operators to trends in real time, ensuring your part will meet your exacting requirements every time. Our extruder operators have an average tenure with the company of 10 years and are trained in quality methods continually. We are very proud of our collaborative methods used in continual improvement and problem-solving. We qualify all of our suppliers and demand the very best in terms of consistency and quality. Most materials are lot-traced. For improved consistency and efficiency, we re-pelletize our own set-up scrap. Our extruders are meticulously maintained and subject to a strict periodic maintenance program.